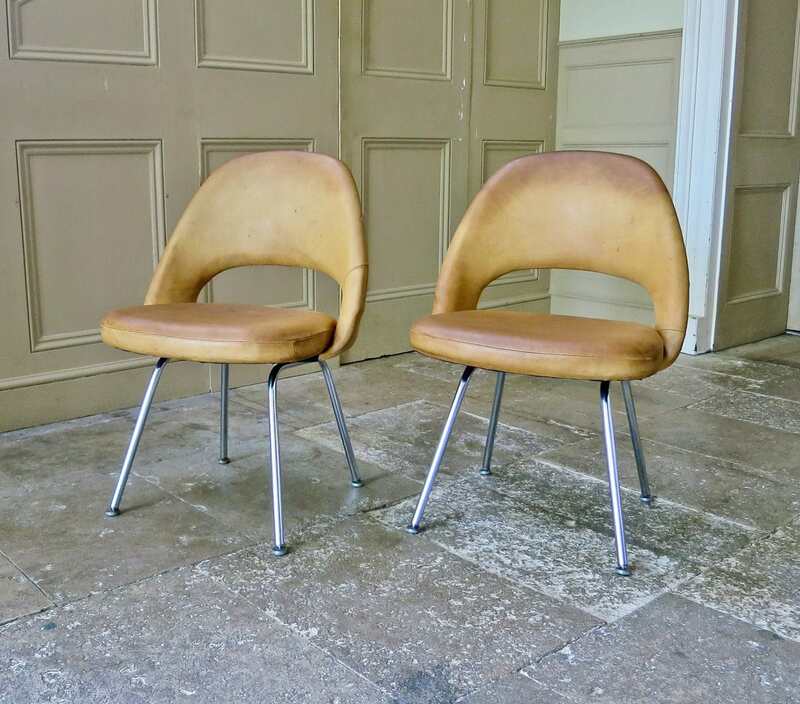 A rare pair of Executive chairs designed by Eero Saarinen for Knoll international, in their original patinated leather. 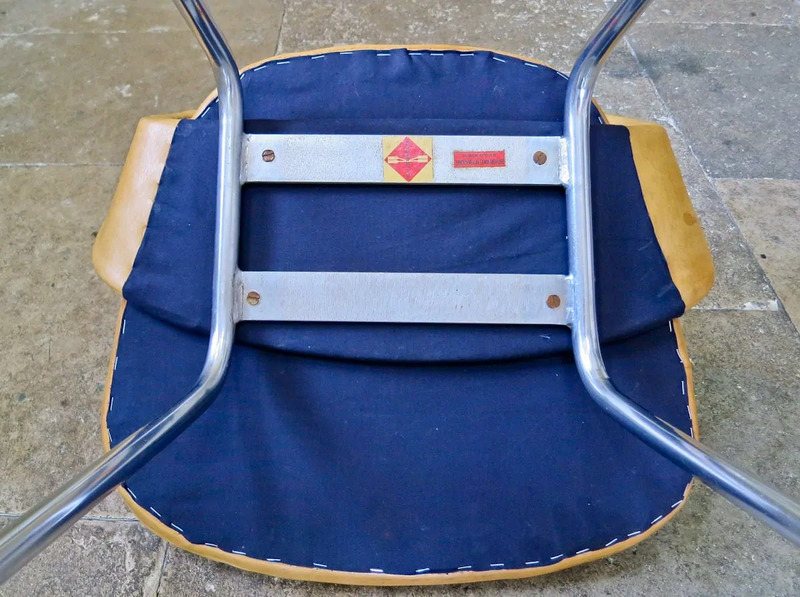 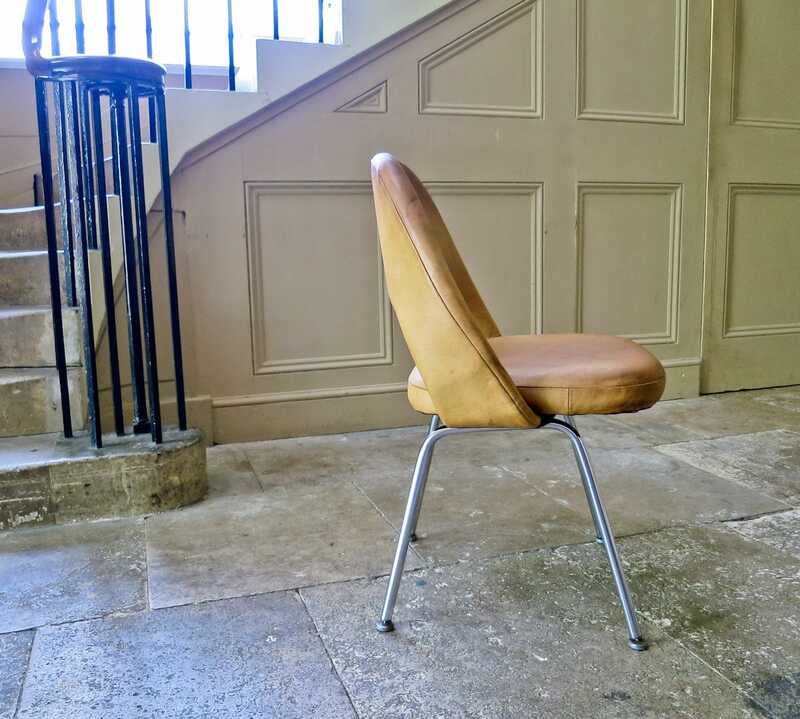 Designed in 1950 these vintage chairs are very early examples, the leg configuration on the underside is a rare one, most have the zig zag tubular steel on the underside. 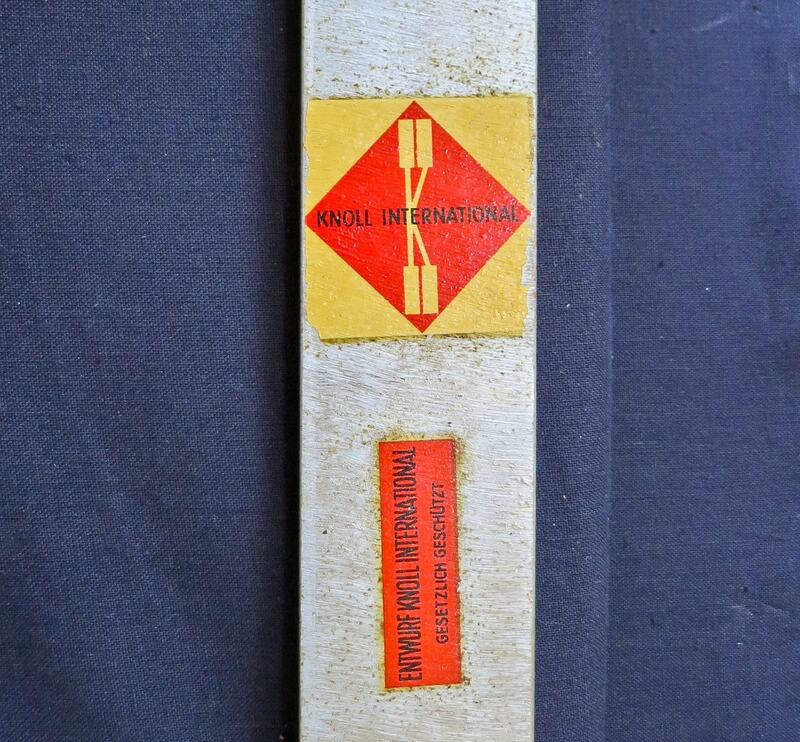 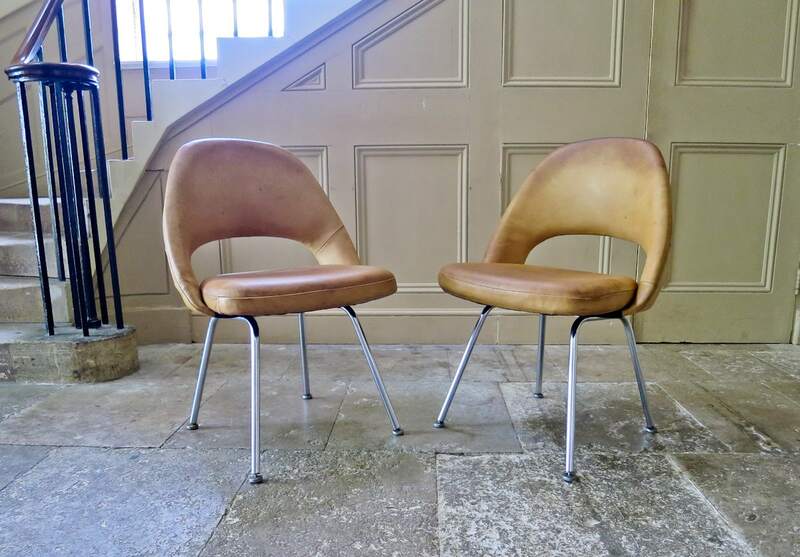 Both have early knoll labels and are in an excellent original condition. 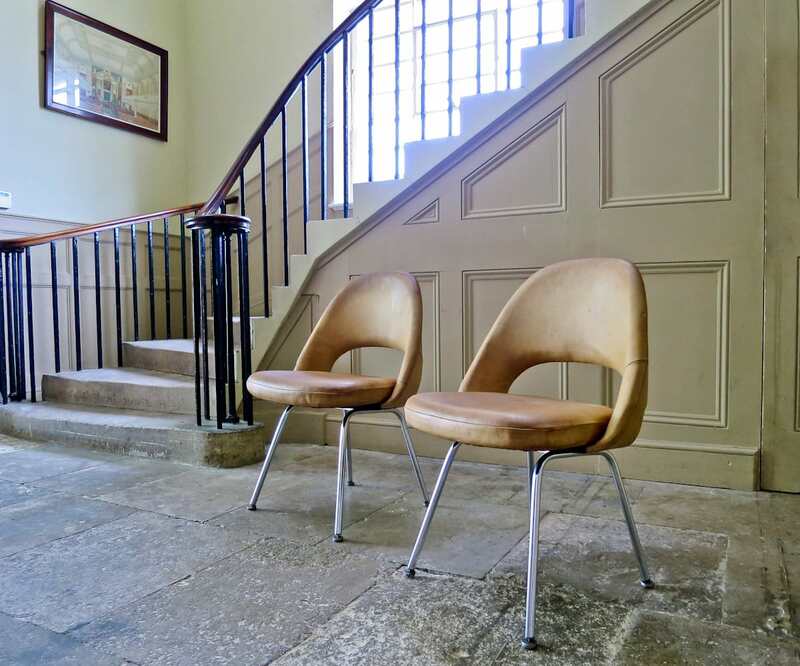 A really beautiful pair of chairs, a iconic design by Eero Saarinen one of the 20th century’s greatest designers in their original leather upholstery. 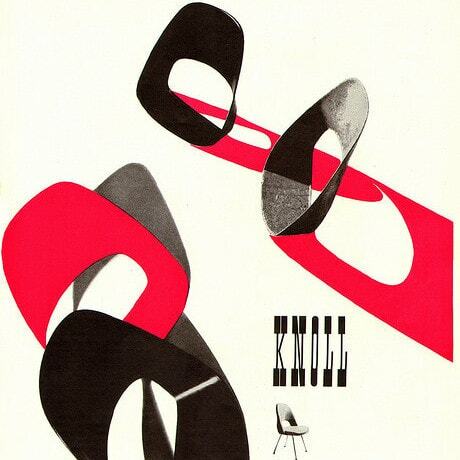 A nice pair of the Executive chairs by Saarinen for Knoll, a classic piece of mid century modern furniture. 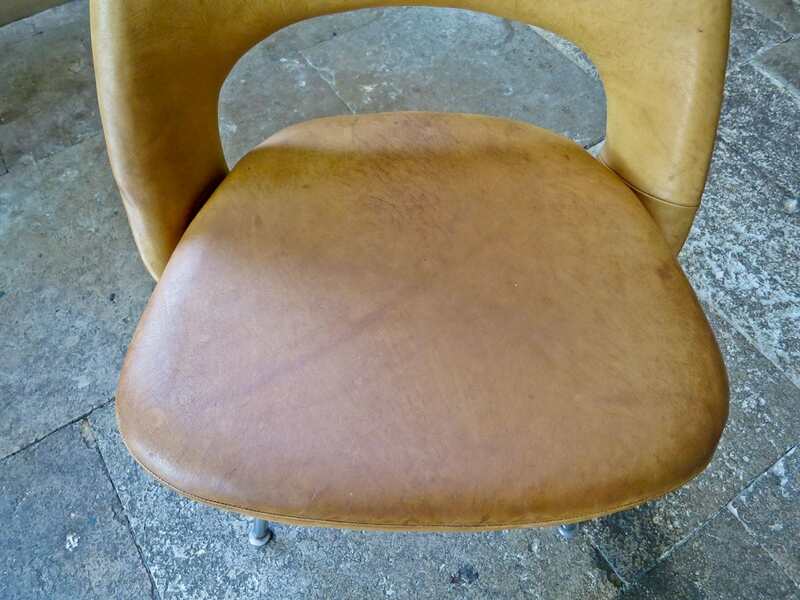 They are rare being early examples that have their original leather upholstery. 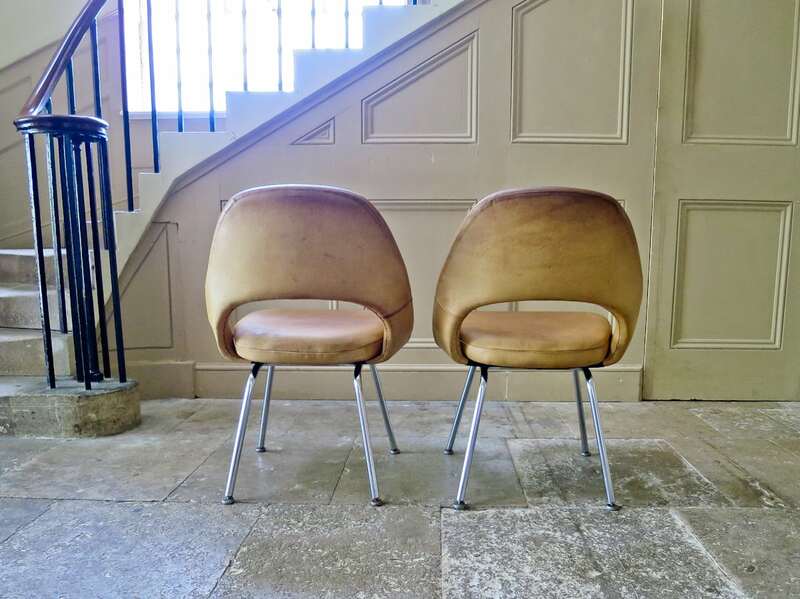 The leather has acquired beautiful colour and patination with use over the years to make these a real standout pair of vintage chairs that would look great in any in interior.